Step pause, step pause, each one just little higher than the last. The trail seemed to have no end of "up," and I was struggling. About that time, and hiker training for a rim-to-rim-to-rim run of the Grand Canyon lapped me for the second time. "Really!?!?" I shouted at him. "You can do it!" he said encouragingly, "about the time you want to quit, go 10 more feet and you&apos;ll be at the saddle." All I could think was that I wanted to quit a ½ mile back. 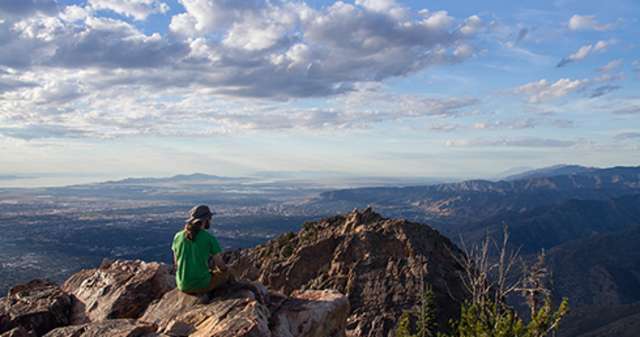 Mount Olympus is one of the steepest hikes in Salt Lake City. It climbs 4,152&apos; in just 3.4 miles, a big chuck of that in one particularly steep mile, the one that had me wanting to quit. In spite of the effort required, the views were promised to be worthwhile. Additionally, I&apos;d lived in Salt Lake for over a year and still hadn&apos;t checked this hike off my list...for a good reason.